Breezy One #112 is the larger cabin of two homes on a great lakeside lot which can be rented separately or together for larger groups, providing a serene environment in a fresh mountain setting for any type of vacation. This charming home provides a fully equipped kitchen with cooking essentials and appliances plus a cute dining room area with a nice table for meals. The cozy living room area boasts a toasty wood burning fireplace, comfy leather furnishings, a flat screen TV, plus a separate laundry room area. There is a beautiful outdoor patio with a picnic table and patio seating plus a charcoal BBQ and shared boat dock is available for your use. Located within the Mallard Bay area and within a short walk to the downtown Village for shopping, Breezy One provides the essentials needed in a serene alpine environment, making this the perfect destination for your next mountain vacation! The property had a beautiful view but it was a bit old and outdated. it was clean but could of used a coffee pot. The front door was open when we arrived and it made everyone a bit uncomfortable the first night. Thank you for posting a review. Big Bear Vacations values reviews as an opportunity to give a voice to our Guests. We utilize them to further strive for excellence. We appreciate the suggestions and have forwarded them to the Team. I am looking into the missing coffee pot - we provide coffee pots at all of our properties. I am very sorry you encountered the troubles you did and we would love a chance to make it up to you - showing you are true standard of excellence. 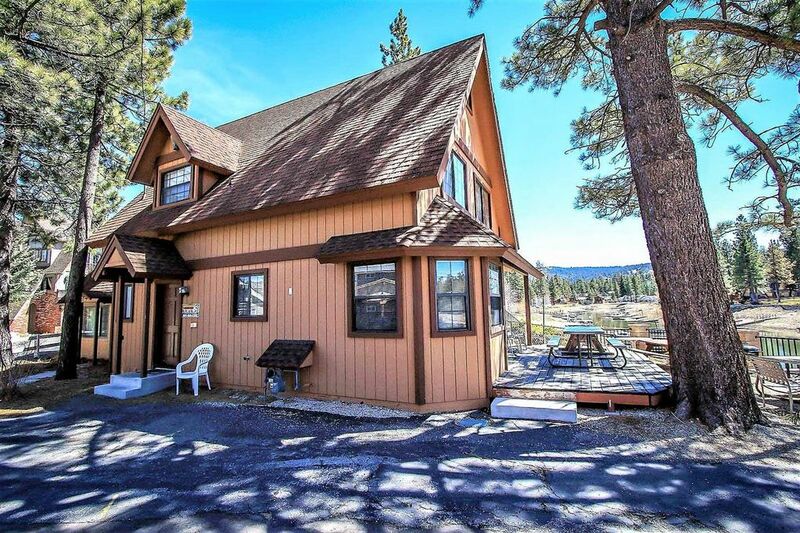 We are looking forward to serving your future lodging needs in Big Bear. See you soon!